The Bay of Bengal saw Cyclone Phethai recently. The system’s movement was such that it had affected parts of Andhra Pradesh as well as Odisha. However, the state of Tamil Nadu completely escaped the fury of the storm. At the moment, the situation of Northeast Monsoon is quite grim. It has not even shown a satisfactory performance in the state of Tamil Nadu, which is usually the main beneficiary. The recent storm also ended up heading to Andhra Pradesh. Now, the Northeast Monsoon season has also almost come to an end since we have already entered the second half of December. Normally, when storms move, no strong systems are seen immediately. In fact, during the Northeast Monsoon season, systems form at an interval of three to four days. During the next two to three days, rains will be absent over southern parts of the country. However, a Cyclonic Circulation is over Southeast Bay of Bengal and adjoining Indian Ocean which is moving eastwards for another two days, closer to the coast. Thus, around December 19, the system is likely to form over Southwest Bay of Bengal off Sri Lanka Coast. Thereafter, on December 20, the system is expected to cause some weather over Coastal Tamil Nadu in terms of rains and thundershowers. Around December 21, rains will increase over the interior parts of Tamil Nadu and will last until December 23, remaining moderate in intensity. 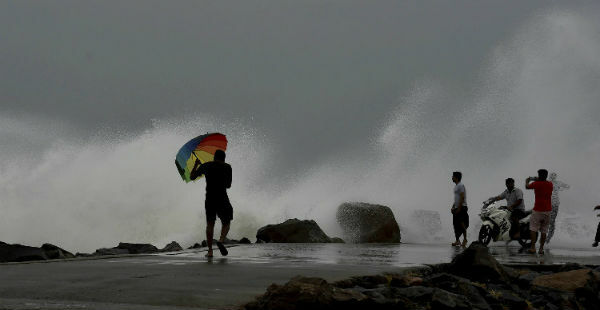 The system is likely to travel further towards Kerala, giving rains over the region, beginning with light showers on December 21 and more rainfall activity on December 22. Rains will begin to reduce on December 23 and recede completely on December 24.